Test preparation | Diary of a Public School Teacher! It’s that time again! 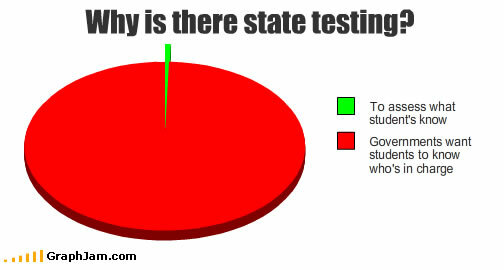 Actually, for me this is the third time my students will be taking the state test. When Delaware opted out of the DSTP,(Delaware State Testing Program) I was thrilled! We used to take the DSTP in March, even though we had not finished teaching the curriculum. We would actually lose about two weeks of teaching(and learning) time while our kids took that test. Not to mention the time we were forced to teach to the test. Delaware has a new system called DCAS( Delaware Comprehensive Assessment System) in which we test the students three times a year. The beginning , the middle, and the end of the year. 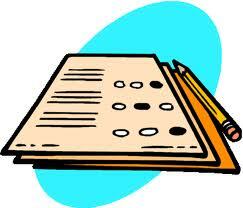 The students take the test online, and get their results right away. I was excited because the students could take the test online, they would know their score right away, we only spend two days testing, and each child would be judged by their individual progress. And best of all, student promotion would no longer be based on one test.. I thought it would be better, but I’ve come to the conclusion that state testing is , how can I put it, not good for students or teachers. New test, same stuff. Little has changed. Our student scores are still compared to the district and the states. We are judged by the cutoff score that decides whether or not we actually taught. Our school will still be” under review” if we don’t meet the NCLB guidelines. I still spend time teaching to the test, and to make it worse, this year they’ve added a Science (K-5) assessment to the 5th grade. All this testing is stressful! I think what I despise most of all with testing, is not the actual testing, but what is done with the student test scores. These scores should be used to improve how we teach,or used as a method to differentiate instruction. Instead, the scores are used as a tool to punish and humiliate districts, schools, and teachers. Our pay is not tied to these tests, but I’m sure that’s coming as well. Use state testing for good, and I’m all for it. Unfortunately, for now, as far as I’m concerned, it’s being used for evil!